Hi, CoS Readers! DeVeeM here. 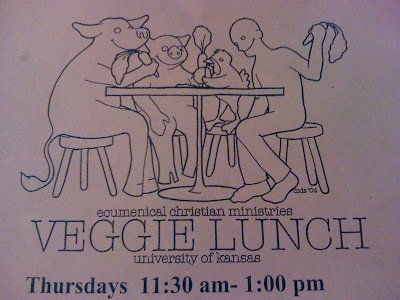 I recently went to the Veggie Lunch hosted by the ECM (Ecumenical Christian Ministries) at KU and I thought I'd tell y'all about my experience. This was my first ever visit to the Veggie Lunch, so the fellow who was greeting guests at the door showed me the lay of the land. I grabbed a bowl, silverware, and a napkin from the side table and headed to the food. 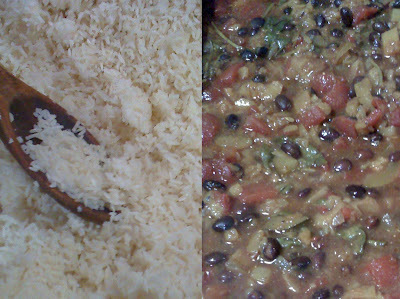 The entree this week was rice and vegetarian chili. 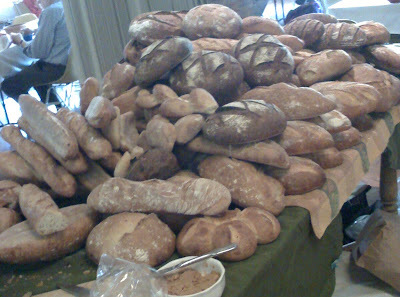 In the main room was a table piled high with all sorts of gourmet breads. There was also peanut butter to spread on the bread. 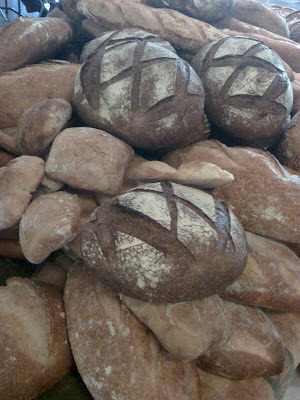 The food was very good and the people there were friendly and welcoming. The crowd mostly consisted of KU students but also included non-student locals. During the lunch, various people spoke about their respective organizations and events, including Canterbury House, Food Not Bombs, and the ECM FUNdraiser party. 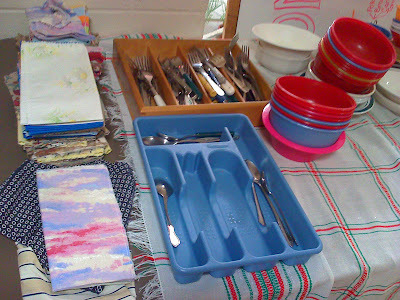 After eating, guests are asked to wash and put away their own dishes. The Veggie Lunch is open to omnivores and vegans/vegetarians alike. It is a free event, though donations are welcome. It runs on Thursdays, 11:30 am to 1:00 pm during the Fall, Spring, and Summer sessions at KU. As I left, I noticed several people eating on the front lawn and enjoying the beautiful weather. 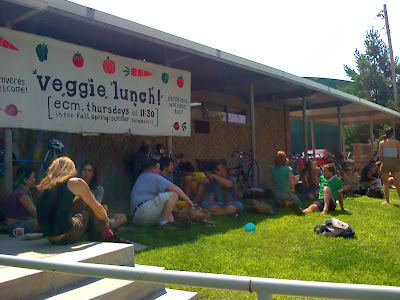 According to the Veggie Lunch website, they were there for the "1:00-2:00pm Cloud Watching & Music Jam for Peace."